Sister Maria Stella playing the harp in a trio at the Christmas concert. 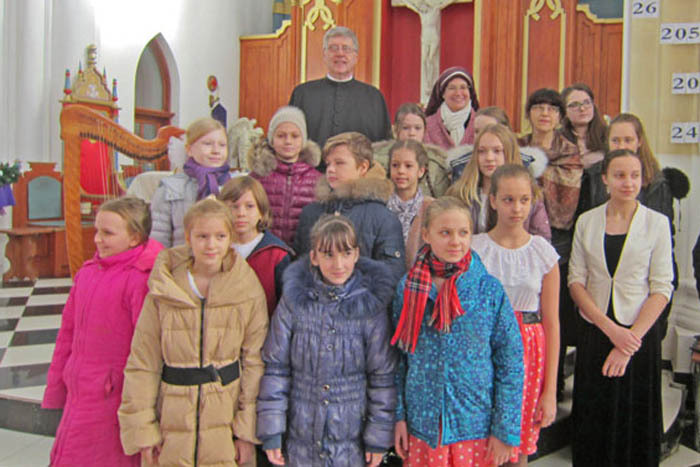 A group of students from the children's music school in Vladivostok who visited the church for a tour given by Father Daniel Maurer, C.J.D. Sister Maria Stella played the pipe organ for them so they could see what their violins sounded like with the pipe organ. Their music teacher is a member of our parish. 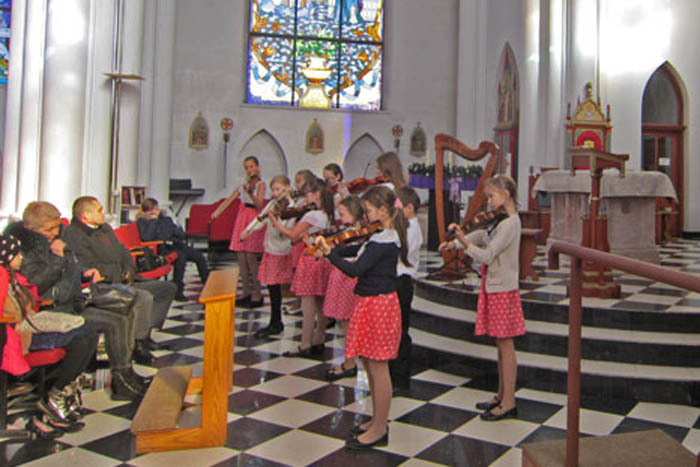 Children performing with violins in the Most Holy Mother of God Catholic Church, Vladivostok, with an organ accompanist. 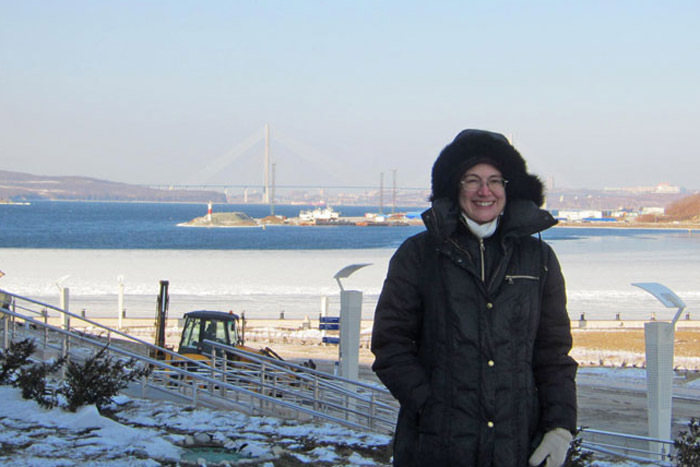 Sister Maria Stella Whittier standing outside the new Oceanarium on Russian Island. Sister was a guest speaker at the English Club that meets weekly at the Oceanarium. The famous bridge that connects the main land to Russian Island can be seen in the background. Sister Catherine Marie Morse cleaning the city apartment that will be traded for one on Russian Island. 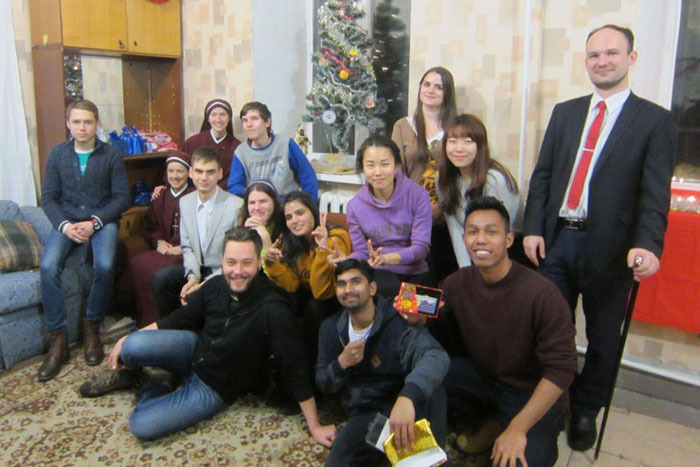 L-R Sister Catherine Marie and Sister Faustina Marie Goedken with students from the nearby Far-Eastern Federal University who came to our Christmas party on December 25th. The students were from Russia, India, Indonesia, and South Korea. This was our manger scene at the students' Christmas party. At the party, a student carried in the Baby Jesus as we sang "O Come, Let us Adore Him." Then each person placed a lighted candle near the manger. 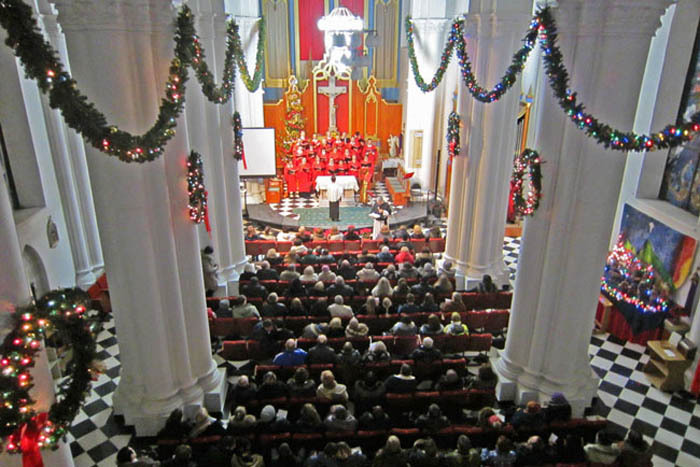 The Catholic professional choir performed at this year's Christmas concert on December 26th to a full house. 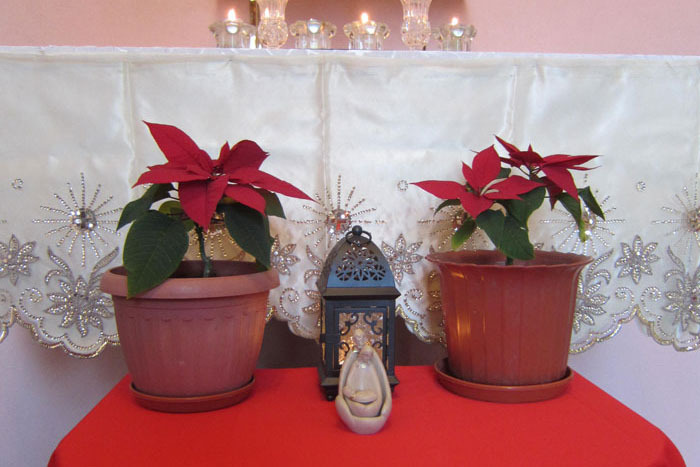 This is how our sisters decorated their chapel for Christmas on Russian Island. 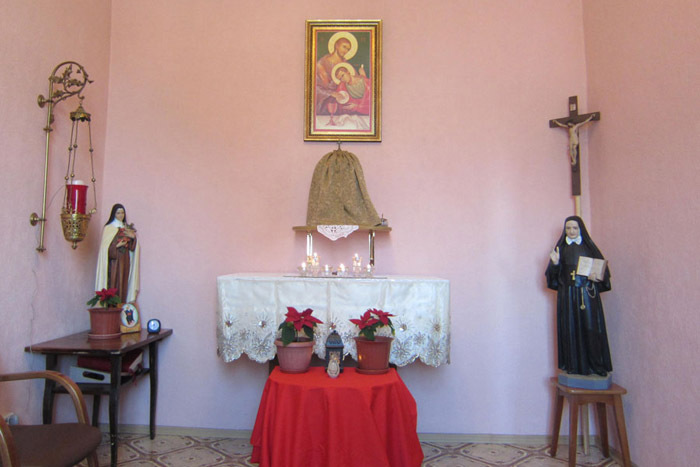 On the left is a statue of Saint Therese of Lisieux, patroness of the Catholics in Russia. On the right is a statue of Mother Cabrini, famous missionary who came from Italy to the United States of America in the latter part of the 19th century. Both of these statues were generously donated to the sisters in Russia by Father Adam Haake. A Korean student gave the sisters this beautiful set of Joseph, Mary, and Jesus. 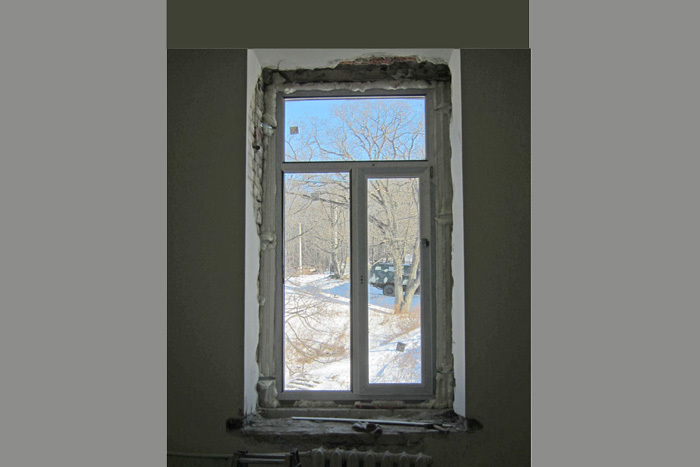 New windows were just installed on December 27th in one of the sisters' newly-purchased apartments for their convent on Russian Island. Our sisters are especially busy in Russia in December. There is always much to do and many people to see. 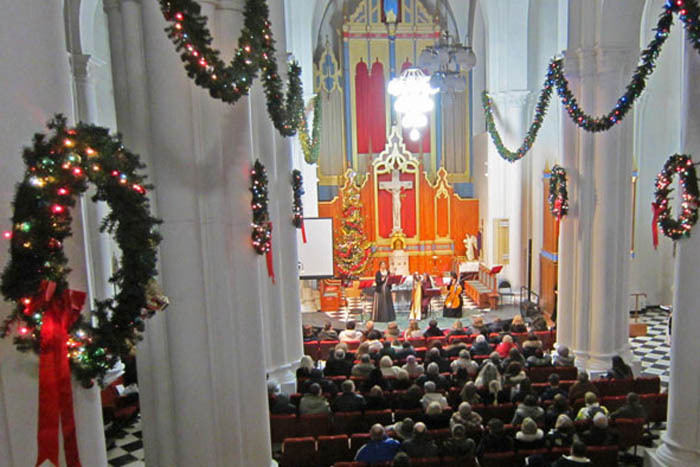 The Christmas concerts went well at our parish, the Most Holy Mother of God Catholic Church in Vladivostok. 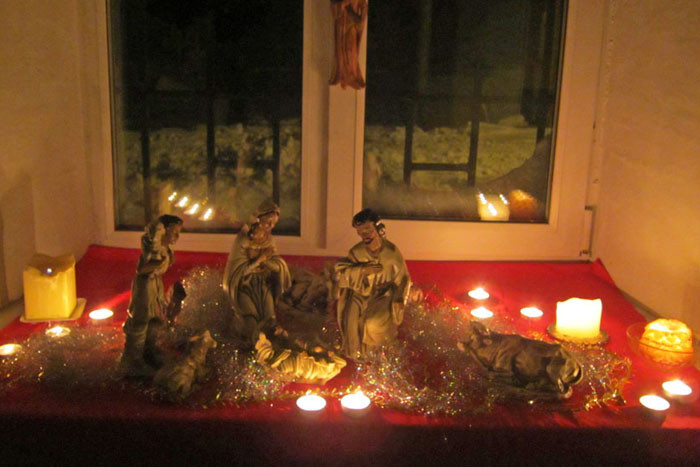 The young adults enjoyed their Christmas celebration at the sisters' convent on Russian Island, and repairs are continuing at the sisters' convent on Russian Island.